In general, hockey players have created quite a lot of tense situations, unsettling their rivals. One of the strong points in the 2017-2018 season was the attack, the players masterfully put the biscuit in the opponent’s basket. 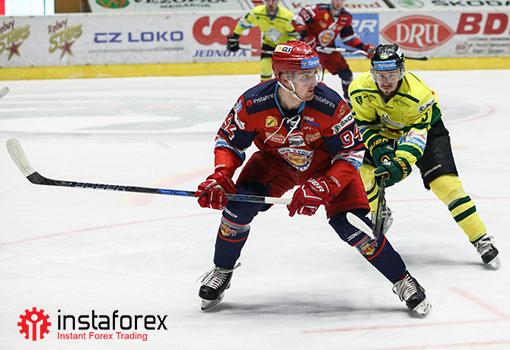 The best goal scorer of the Slovakian extraleague was a forward of Zvolen, Timothy Coffman. There are 33 pucks on his account. Now the athletes of HKm Zvolen are taking a break to gain strength and train. So we are looking forward to their victorious results in the next season. We, in our turn, continue to support an active way of life and a desire for victory, providing sponsorship to promising young teams. Following the results of the season, the club on behalf of the management and the hockey team thanked InstaForex for the long-standing support and contribution to the club’s development, awarding the company with a certificate of gratitude. This entry was posted on Saturday, May 26th, 2018 at 10:06 am	and is filed under Events. You can follow any responses to this entry through the RSS 2.0 feed. You can leave a response, or trackback from your own site.